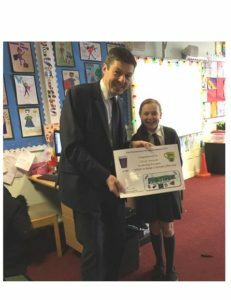 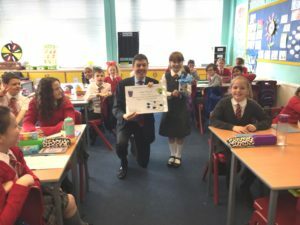 Ken has been visiting local schools in his capacity as Chair of East Renfrewshire Fairtrade Forum to present prizes in the annual Fairtrade Schools Competition. 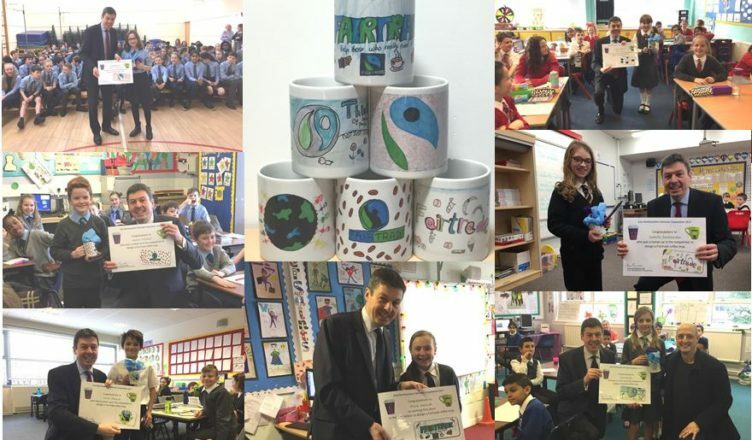 This year, pupils were invited to design a coffee mug on a fairtrade theme. 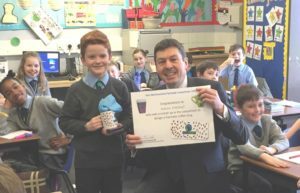 The competition coincides with Fairtrade Fortnight which runs from 27 February to 12 March. 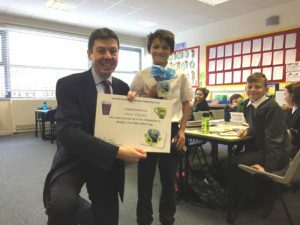 The theme of this year’s fortnight was “It’s time to put Fairtrade in your break!”, challenging people to think about whether the food they buy has been produced in exploitative conditions where producers don’t receive a fair deal for what they grow. 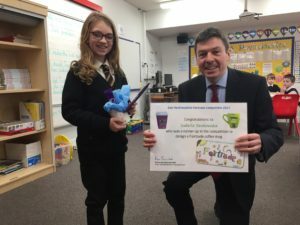 There were over 900 entries from pupils across East Renfrewshire, with Olivia Hannah from St Cadoc’s Primary School being selected as the overall winner. 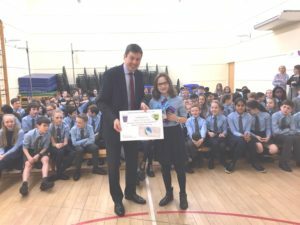 The runners-up were: Abigail Blain from Carolside Primary, Chris Bell from Thornliebank Primary, Alice Riches from Braidbar Primary, Isabella Senkowska from St Mark’s Primary, Aaron Mitchell from St Joseph’s Primary, Sophia McGuinnity from Our Lady of the Missions Primary, and Omar Elharek from Mearns Primary. 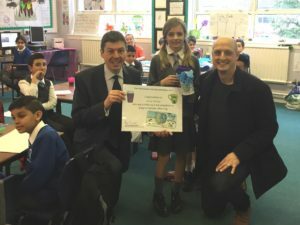 Ken said: “I am incredibly impressed by the quality of entries every year and it is so encouraging to see so many young people demonstrating the importance of eliminating exploitation and treating everyone fairly in such creative ways.